We just announced the new AWS Nonprofit Competency Program for AWS Partner Network (APN) Partners. Launch Partners in this program have built solutions on Amazon Web Services (AWS) that support the unique missions of the nonprofits they serve. With the help of AWS Nonprofit Competency Partners, AWS customers can quickly, cost-effectively, and securely leverage technology to scale mission impact and drive social change. 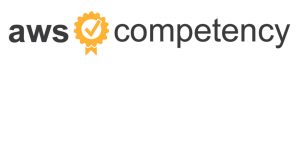 The AWS Competency Program helps customers identify and choose the top APN Partner for their AWS projects and workloads. To give you an idea how AWS Nonprofit Competency Partners are driving social change, we are excited to share a few customer stories from APN Partners ClearScale, Civis Analytics, and Megazone. About the Customer: For nearly 40 years, SF Match has provided residency and fellowship matching services in areas across the spectrum of medicine, including ophthalmology, plastic surgery, movement disorders, critical care anesthesiology, microsurgery and more. They work to connect people with organizations using a proven applicant review and ranking methodology as well as a Centralized Application Service that streamlines the processing, distribution, and review of applications with a simple user interface. About the APN Partner: ClearScale is an APN Premier Consulting Partner that builds unique cloud solutions for a variety of customers including nonprofits. They have successfully delivered a number of big data, migration, and development projects on AWS, and in addition to the AWS Nonprofit Competency, ClearScale has AWS Competencies in Big Data, DevOps, Marketing & Commerce, Mobile, Migration, and Internet of Things (IoT). They are also a member of the AWS Public Sector Partner Program. The Story: SF Match had been experiencing performance degradation and availability issues due to their continued organic growth, aging hardware, legacy technologies, and several single points of failure in their architecture. When a hardware refresh cycle came due for their servers and infrastructure, SF Match decided it was the perfect time to migrate to AWS in order to provide the flexibility they needed to grow and modernize their operations, which were predominantly being run in Microsoft Windows and with IIS/.NET applications. SF Match chose ClearScale because of their Premier Partner status and extensive experience performing migrations away from legacy infrastructure. ClearScale began with a detailed analysis of the customer’s requirements, and then began planning the architecture design, automation implementation, and deployment on AWS. This included data migration using real-time file sync and real-time database replication. The Result: SF Match has matured their infrastructure capabilities, reduced IT management overhead, and implemented a controlled/automated method for releasing new code with help from ClearScale. All single points of failure have been replaced with high availability systems or mitigated with automatic failover configurations. The new environment is elastic and highly scalable, and infrastructure automation drives quality and repeatability of deployments. SF Match chose to leverage managed services, which drastically reduced IT overhead and maintenance costs. Ultimately, their new architecture eliminates single points of failure and provides quality, high availability service to their users. About the Customer: Robin Hood Foundation fights poverty in New York City. They find, fund, and create programs across the city to provide low-income New Yorkers with the tools they need to build better lives. Robin Hood’s programs include schools, food pantries, homeless shelters, job training centers, health facilities, legal clinics, and more. About the APN Partner: Civis Analytics works with nonprofits to apply leading-edge analytics using the open, extensible Civis Data Science Platform. Using Civis Platform, customers have executed wide-scale public opinion research projects, optimized advertising campaigns, and created groundbreaking reporting systems for leaders to best understand and utilize their person-level data assets. Civis is an APN Advanced Technology Partner. The Story: SNAP (known as food stamps) and the Earned Income Tax Credit (ETIC) are two of the most effective anti-poverty programs in the United States, but one in five eligible people do not claim these benefits. Robin Hood turned to the data to ask three questions: Who is eligible? Where do they live? How can we reach them? Using Civis Platform, built on AWS, Civis combined publicly available microdata and administrative data to model SNAP and EITC participation rates for every New York City community district, and then developed a set of target areas and segments for outreach. The model filled gaps in the data to find the neighborhoods in New York City that had the highest participation gap and highest non-participation density (i.e. the proportion of the total population or tax filing universe that were eligible non-participants). Taking it one step further, the model identified non-participation patterns by key demographics, including the differences between those who do and do not participate. The Result: Using Civis models to identify and target the neighborhoods in which the participation gap is highest, Robin Hood reached 10,000 people who were eligible for more than $15 million in benefits—all with just six volunteers. About the Customer: Based on the Korean government’s Creative Economy-driven strategy, Gyeonggi Center for Creative Economy & Innovation (GCCEI) utilizes 80 countries’ networks to help businesses go-to-market and foster startups in IoT, FinTech, Games, and 5G fields. About the APN Partner: Megazone is an APN Premier Consulting Partner that offers unique cloud solutions called Hyper Solutions for a variety of customers including nonprofits. Megazone also has AWS Competencies in Marketing & Commerce, Migration, Financial Services, and Education. They are also a member of the AWS Public Sector Partner Program. The Story: GCCEI has centers in each region focused on establishing new businesses, creating jobs, and supporting innovating startups. It’s difficult for local centers to have expertise in IT operations, however, so GCCEI looked to APN Partner Megazone to reduce the burden on the operation of computing facilities. GCCEI needed to launch a website in a short period of time to support global advancement, and Megazone provided an infrastructure for rapid website deployment using Amazon Elastic Compute Cloud (Amazon EC2), Amazon Relational Database Service (Amazon RDS), and Amazon Route 53, among other services. 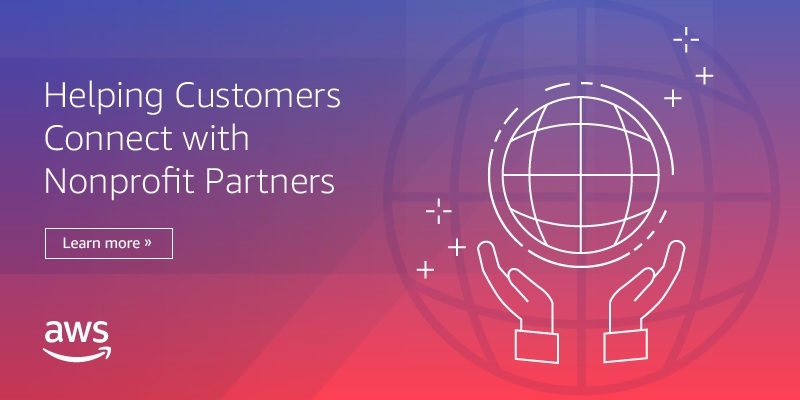 It was equally important to provide fast access speed overseas in order to attract foreign investment, and Megazone established a fast database link configuration environment using an Amazon RDS DB instance and Amazon CloudFront. GCCEI also asked for active storage space to manage the database of startup and venture companies they work with, and Megazone leveraged Amazon Simple Storage Service (Amazon S3) to accumulate image data needed on the new website. The Result: Within a short project period, Megazone helped GCCEI overcome a lack of IT management staff to implement and service a new website with global reach: www.startupkorea.com. They delivered fast access overseas and built a foundation for link services through database configuration of startups and venture companies.